Guerrilla Graphix is a privately owned, employee-profit-sharing business based in Albuquerque, New Mexico. We design and sell products that address, reflect and reference a wide range of topics including politics, history, art and culture. Among our products are designs that use the Zia sun symbol and other Native American imagery. 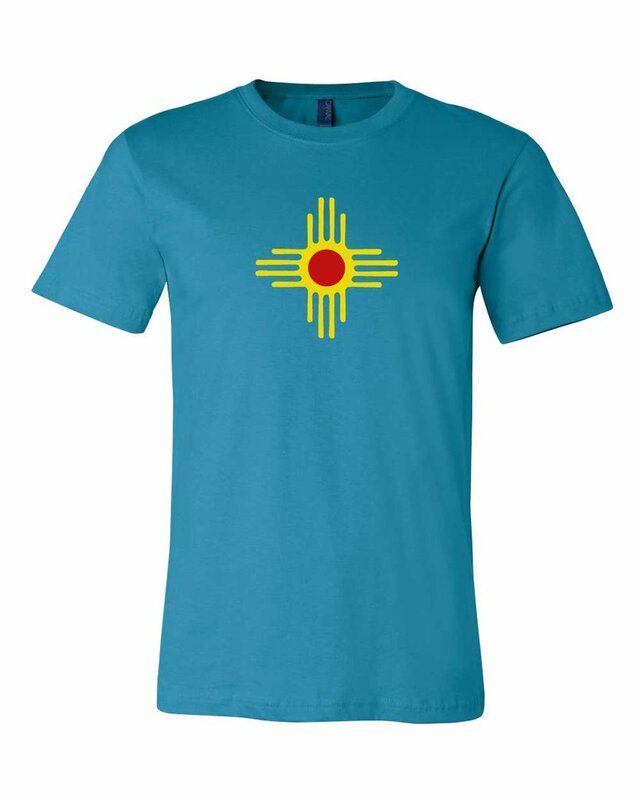 The Zia sun symbol and name are synonymous with New Mexico. The symbol appears on the state flag, on NM license plates and many businesses and clubs use the word "Zia" in their names. It is also a sacred symbol for the people of Zia Pueblo. A customer recently brought to our attention a 2015 report prepared by the NM Department of Cultural Affairs regarding who has a right to use the Zia sun symbol (click here). The report states that anyone can use the symbol and there is no legal requirement to give notice or make payment to Zia Pueblo. The report points out, however, that the absence of a legal requirement does not preclude the showing of respect. 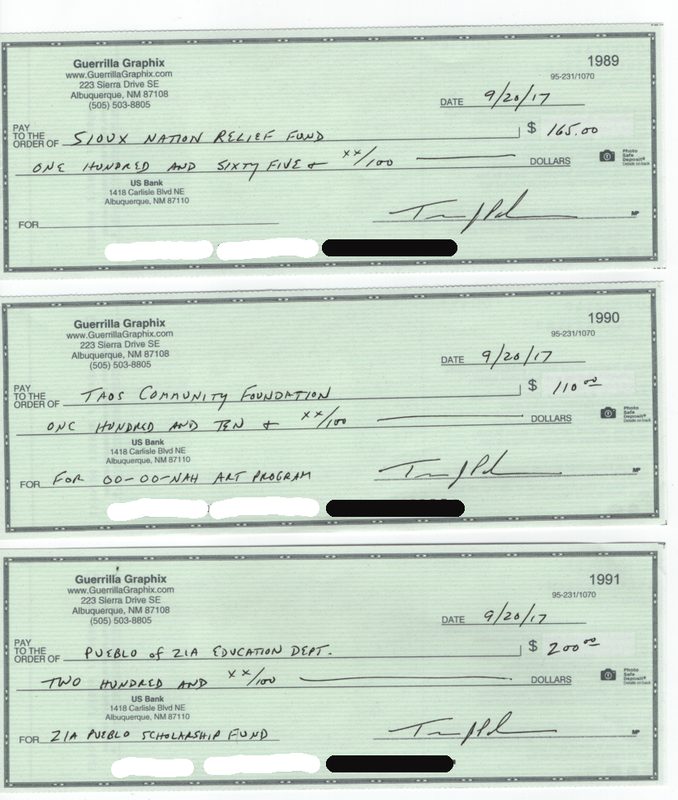 After contemplation of this report, Guerrilla Graphix owner Travis Parkin has decided to start making voluntary donations to the Zia Pueblo Scholarship Fund with profits arising from sales of products with the Zia sun symbol. So far this year Guerrilla Graphix has also paid more than $1000 in charitable donations to the Oo-oo-nah children’s art program at Taos Pueblo (based on a percentage of the sale of our Disobey T-shirts) and to the Standing Rock Legal Defense Fund (based on the sale of Standing Rock shirts designed by staff artist April Yazza).